/INS. With its innovative Boom Booster Kit, global crane manufacturer Terex Cranes can dramatically increase the performance of its existing cranes. The Boom Booster Kit is an easy-to-assemble and transport boom system that increases crane load capacity more than 90 percent. Terex Cranes Germany is one of four finalists for this year’s Swedish Steel Prize. Terex Cranes Germany wanted to create a new boom system that could be retrofitted onto existing crane models. It would eliminate the need to buy an entirely new, larger crane. The Boom Booster is a highly innovative design unlike any other boom system on the market. It was developed without the need for additional reinforcements on the base crane and is easy to assemble. Setup of such a system takes about two days. It is also easy to transport. The Boom Booster can be partially or completely disassembled, depending on the specific road transportation regulations, thanks to the pin bolt structure. It fits in standard 40 feet open top containers. This leads to an improved handling and transportation functionality with better utilization of standard means of transport, with the need for fewer trucks, which decreases fuel consumption. The Boom Booster utilizes a variety of high-strength steels for components like the trusses, tube members and bolted joints, including Strenx 700MC, 770QL and 960QL, Strenx 700 profiles and SSAB Domex 460NL. The Boom Booster Kit is built up of two 11m adapters and five intersection parts that are 10m long. 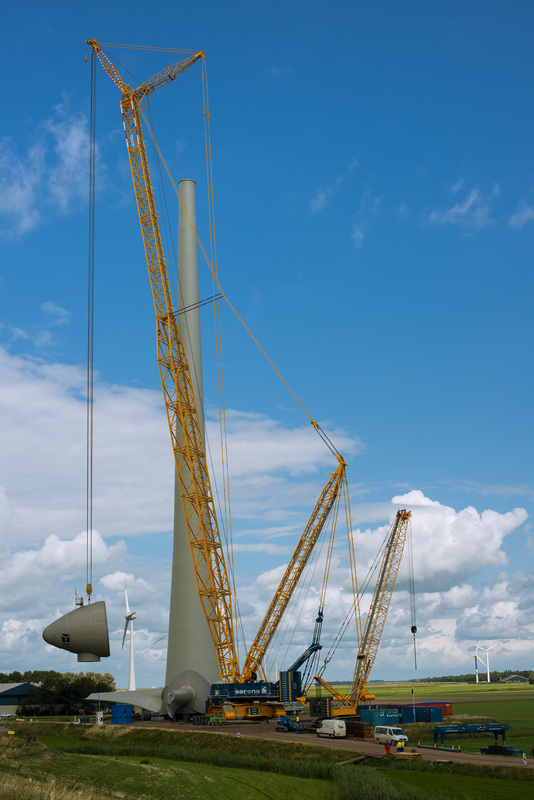 When completely assembled, the add-on boom length is 72m. With the boom booster attachment, a total height of 156 m and 234 m with a jibconfiguration can be easily realized. Production of the Boom Booster takes place in Zweibrücken, Germany. Terex has developed an adaptable crane section (Boom booster) that significantly increases the load capacity of their crane model CC 8800-1. Since the alternative would be to replace the entire crane this is a very cost effective solution. High-strength steel is used for the booster truss, with tube members and bolted joints. Ease of assembly is facilitated by transport of components in standard containers, which leads to optimized transportation and both, decreased fuel consumption and emission rates. The increased cross section dimensions of the booster truss improve buckling resistance and bending stiffness.